Trade associations and professional societies with a broad and vital scope of services often employ a small staff to support those services. Professional and technical education, certification programs, and maintenance of professional standards are some of the most important functions conducted by associations. Many also provide a broad range of products and services, sometimes through for-profit subsidiaries. We know that associations like yours often face significant governance and human resources challenges. Advocacy and public education efforts bring associations to the forefront in both positive and negative ways. Compensation governance issues can be heightened, particularly in professional societies, when the Board members making decisions pay dues out of their own pockets, and yet many of them earn less than the CEO or other association staff. 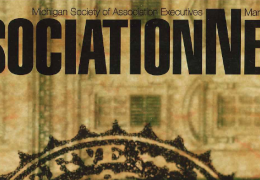 Media attention often focuses on the compensation of association employees, particularly executives and lobbyists who appear in support of positions crucial to their members but unpopular to the public. One of the major challenges a membership organization can face is finding and retaining employees able to handle a broad range of responsibilities. Because they are usually relatively small, most membership organizations do not have professional staff dedicated to dealing with human resources issues. Trade associations and professional societies have made up a significant segment of Merces’ client base since its founding in 1992, allowing us to work with dozens of such organizations nationwide. In addition to the wide range of direct services provided to the organization’s management, we also conduct surveys and other research programs for the benefit of associations and their members. Not-for-profits in many industries are facing scrutiny for their executive compensation programs, and Merces has led the way with the development of a “best practices” approach that provides a method for Boards of Directors to properly fulfill their governance responsibilities. 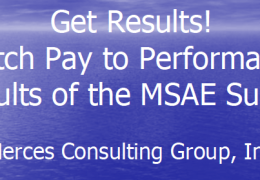 Merces’ salary management programs for staff bring large company sophistication to organizations of any size and help to eliminate many of the compensation problems that plague organizations without sufficient structure. 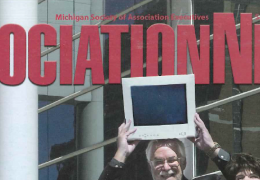 In an age when access to competitive information is critical – and many available sources aren’t financially accessible to small and medium sized companies – Merces helps associations provide more services to their members. 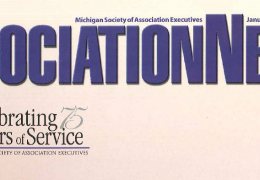 Explore our services to associations below. Beneath that, see some of the associations we have worked with in the past. Boards of Directors are appropriately concerned about their CEO compensation programs. State and federal agencies have indicated their intention to come down hard on perceived “excess” executive compensation, and not-for-profit status is sometimes threatened when compensation does not appear to line up with the prevailing opinion of the day. Sometimes it seems as if the media has nothing better to do than to “expose” executive compensation practices. You can be sure that any association whose advocacy efforts catch the eye of the media will also find media interest in its compensation practices. None of these problems are inevitable. With a broad scope of industry knowledge and more than 25 years working with associations nationwide, Merces has significant expertise in developing, implementing and administering structured employee compensation programs. Our programs reflect the realities of the association environment, understanding that the work of the association itself is generally very different from the work of its members. Internal Equity – A job evaluation methodology determines the relative value of jobs to the association, ensuring pay opportunities match job contributions, even when no market data is available. A pay program that does not properly incorporate job evaluation is not only less effective, it opens the organization up to potential unnecessary liability. External Competitiveness – Defining ranges that clearly outline the pay opportunities for each job helps associations understand the nature of the market, as well as how their “non-benchmark” jobs fit in. Merces ensures that associations properly define their “market” and collects the data that is most appropriate not just for their market but for their business model. Paying for Performance – A fair and equitable pay program does no good if it isn’t administered fairly and equitably. Creating performance management plans that ensure appropriate compensation for employees’ contributions to the association is crucial to effective pay management. Merces can show your organization how to use job descriptions to create customized performance management programs for each job. Our clients report high levels of satisfaction with the pay programs we develop. Beyond solving immediate problems, Merces programs help management better budget and understand their cost structure and also promote a higher level of understanding among employees about how their pay is determined. Many human resources programs, as well as other organization initiatives, fail not because they are poorly designed but because they are poorly communicated. Communication is not simply a matter of volume of information, but also effectiveness of delivery. Any new program – or any change – requires a strategy to ensure that information is effectively disseminated to the right population at the right time. The communication also involves gathering information from employees, whether to decide which approach to take or to gauge reaction to actions already taken. For more than 25 years, Merces has gathered research on compensation and benefits programs as well as human resources policies and practices. We have conducted surveys for a number of industry groups as well as for local training and employment agencies such as MichiganWorks! We work with trade and professional associations to design surveys that collect information on positions critical to an industry’s employers. Then we analyze trends so that participants understand not just what the information means for today but what it might mean for tomorrow. 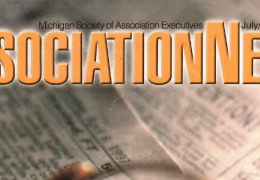 Several Merces surveys have been published for more than ten years, and the “Compensation in Michigan” and “Benefits in Michigan” surveys have been published for 25 years. 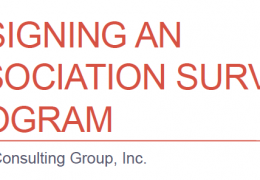 Programs already developed for statewide associations can quickly and easily be adapted for use in other states, and collaborations between states can reduce costs and provide even more value to members.